How to track Facebook app installs - Edit. Facebook App Installs ads are a great way to promote your app to potential new users who are sure to be interested. The ads can send users directly to the App Store, Google Play and even the Kindle Fire Store. When creating a Facebook App Installs Ad tracking app installs is a key metric to seeing how well your ads are performing. 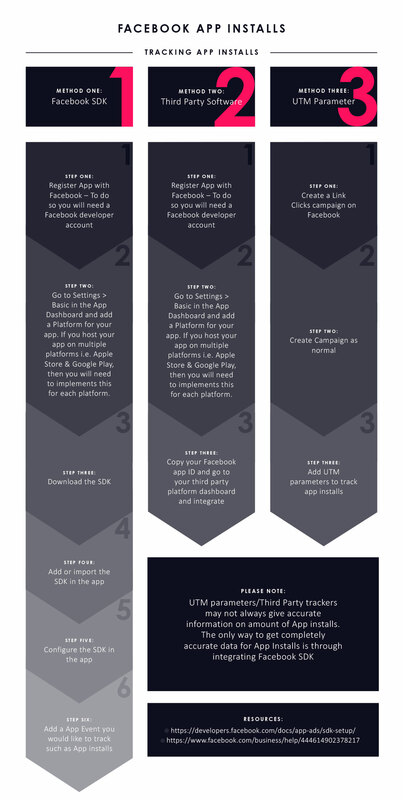 There are multiple ways you can track app installs, however finding the right method for your campaign is not always straightforward. We’ve put together a flowchart to simplify this process.